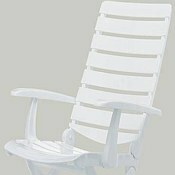 The Tiffany Pool Chair by Kettler® has 16 different positions and offers custom-fit comfort and endless flexibility. Additionally, the chair is extra wide and has a contoured back and seat that cradles you in easy luxury. Tiffany Pool Chairs fold easily for storage, but if you choose to keep your chairs outdoors all year, you can feel confident that they will stand up to any and every weather condition and still look fantastic. Kettler® provides superior quality resin that is more durable and longer lasting than most other resin on the market. 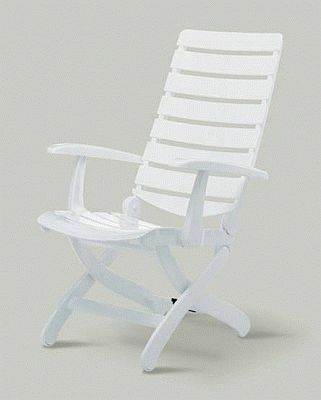 Tiffany Pool Chairs have a UV resistant lacquered finish, so they will resist fading, cracking, and yellowing. What a great addition to your pool area! Dimensions - 25.5" W x 44" H - seat depth 18"